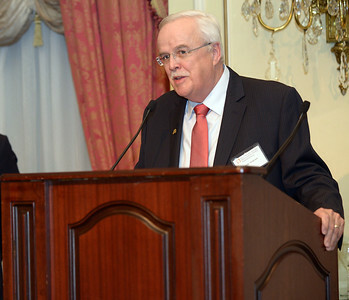 On April 24, 2015, we hosted our Family History Benefit Dinner for more than 200 guests—the largest attendance to date for this annual event—at the Taj Boston Hotel. 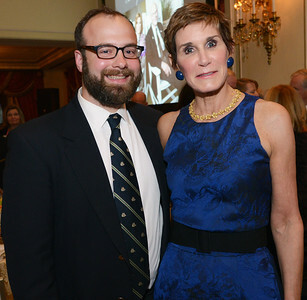 The guests of honor were James Carville and Mary Matalin, well known for their roles in recent presidential administrations and as commentators on the American political scene. The couple also authored the 2014 bestselling book Love & War: Twenty Years, Three Presidents, Two Daughters and One Louisiana Home. 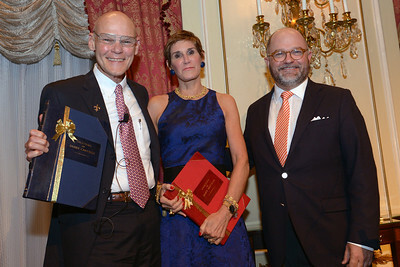 Carville and Matalin were presented with the NEHGS Lifetime Achievement Award for Political Studies and Commentary and also received their family histories, researched and custom-produced by our staff. 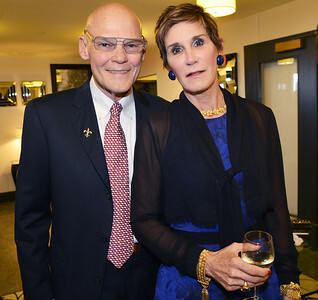 Following the award presentation, Matalin and Carville—one of the nation’s most politically opposed, ideologically mismatched, and intensely opinionated couples—each presented lively and often humorous remarks on their individual and joint life experiences. 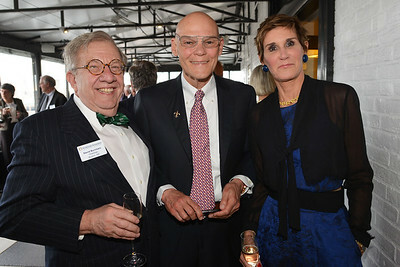 James Carville, Mary Matalin, and NEHGS President and CEO Brenton Simons. 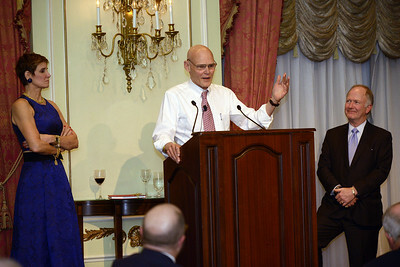 Mary Matalin and Bill Griffeth look on while James Carville regales the audience with an engaging story. 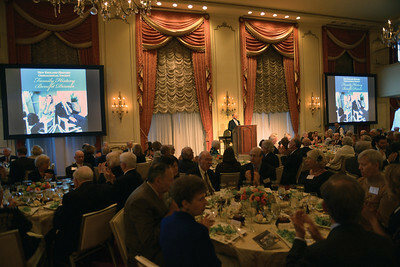 Brenton Simons addresses more than 200 guests at the NEHGS Family History Benefit Dinner. 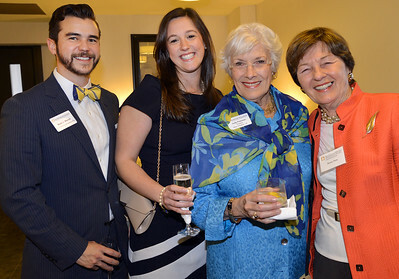 NEHGS Vice President and COO Ryan Woods, Karen Woods, honorary dinner chairperson Judith Waite Freeman, and Mauny Plum. 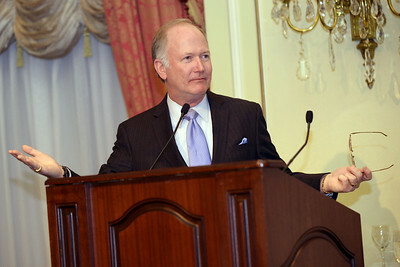 Emcee Bill Griffeth addresses the dinner attendees. Andy Anderson, Executive Vice President of Wells Fargo & Company, the event’s Platinum Benefactor, addresses the dinner attendees. 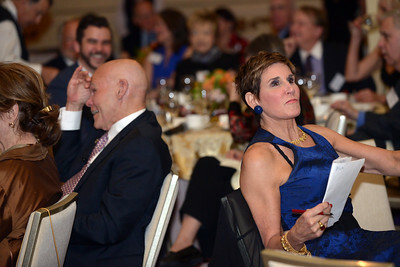 James Carville and Mary Matalin react to stories of their ancestry.